The row over UKIP AM Gareth Bennett's speech about transgender rights, in which he warned society could "implode" if there was too much "deviation from the norm", has echoes of comments which brought him to the media's attention before he was even elected. In the run-up to last year's assembly election he was quoted in Wales Online linking immigrants to rubbish levels in Cardiff. He described City Road as a "melting pot of different races all getting on each other's nerves, I think, and certainly causing lots of problems because of different cultural attitudes". Questioned on the BBC's Daily Politics about whether there was evidence for the claim, he said: "I haven't got any firm evidence to give you now." The comments were "absolutely crazy", according to a UKIP Wales source. UKIP's then migration spokesman, Steven Woolfe, pushed for Mr Bennett to be de-selected, demanding the party's ruling National Executive Committee take action in the "strongest terms possible to deal with this man". Mr Woolfe, who has since left the party, also wanted those who had selected him to be reprimanded "because there is no room in this party... for anyone who makes any racist, xenophobic or other types of comments". For his part, Mr Bennett said he had written to UKIP warning "if they try to deselect me without due process they will face a legal action from me for lost earnings of £300,000". 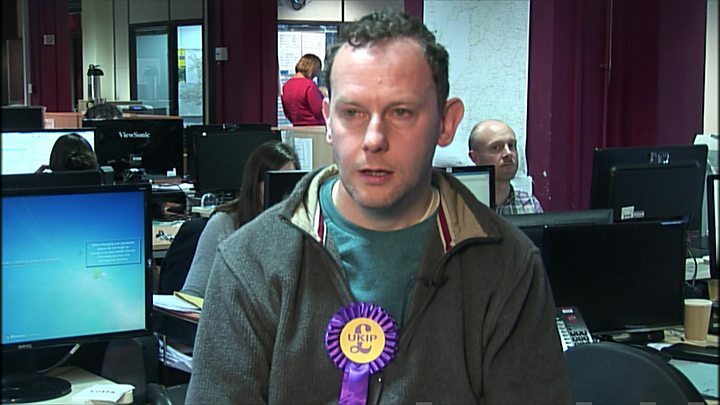 Mr Bennett survived as a candidate, keeping a low profile until polling day, and became one of seven UKIP politicians to win seats in Cardiff Bay, although two have since left the party's assembly group. With the look of an earnest schoolboy when speaking in the assembly chamber, he often leans across his desk carefully reading from a pre-prepared script as if to ensure no telling off from the teacher. But as he was settling into his Senedd seat his comments were drawing the ire of politicians from other parties. Mr Bennett's description of Pontcanna in Cardiff as a "Welsh-speaking colony" were criticised by First Minister Carwyn Jones as "highly offensive to a number of people". Mr Jones did add that he was not sure the UKIP AM meant to "sound as if people in Wales who speak a certain language don't belong in our capital city". One or two eyebrows in the Senedd were raised when Mr Bennett was appointed to the Equality, Local Government and Communities Committee. However, if much of UKIP's appeal is about breaking any stuffy political consensus and reflecting public views that are not those of the establishment, then the party might argue this is just the sort of committee in which its voice like Mr Bennett's is needed. His approach was certainly a deviation from the norm, as it were, when he produced his own report accusing the committee he sat on of encouraging asylum seekers and refugees to come to Wales. The UKIP-branded document - "Wales' Refugee Problem" - appeared to have compiled material about refugees mostly from the Times newspaper. 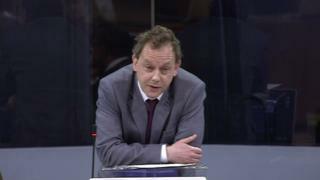 Cardiff-born, Gareth Bennett's assembly CV says he trained as a newspaper reporter and then worked on local newspapers, whilst his jobs have varied from administration posts to casual labouring. According to his website he first dipped his toes into politics at the age of 16, when he joined the Left-wing Workers Revolutionary Party (WRP). He later became a member of the Labour Party "before eventually abandoning the left - and even the centre-left - in disgust at its embrace of mass immigration", the site states. There can be little doubt Mr Bennett holds some views many mainstream politicians find revolting. It is also the case that many of those mainstream politicians say they are keen for the assembly to draw its membership from a wider portion of society. It might be that if the institution is to become more reflective of the world outside Cardiff Bay that things will sometimes be said in the chamber that most AMs regard as offensive. The challenge for the offended AMs is to robustly challenge the comments, on behalf of those on the receiving end.